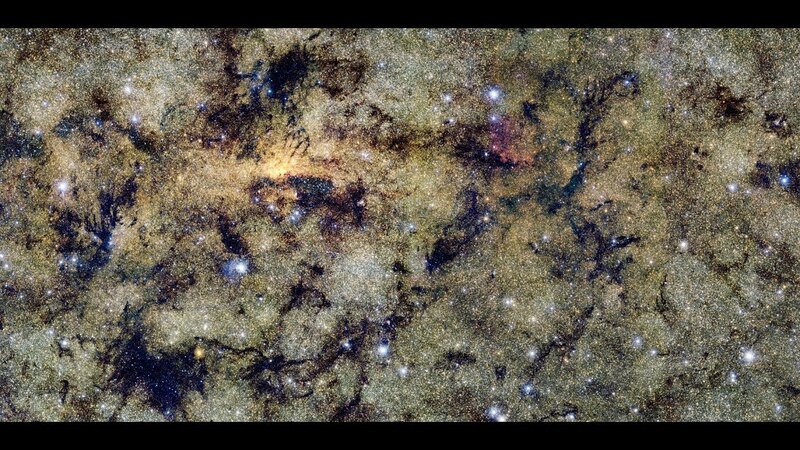 Have you ever seen a 9-gigapixel map of the Milky Way Galaxy? The jaw-dropping image contains around 84 million stars and it’s unlike anything I’ve ever seen. The original image has 24.6 gigabytes. How would I define it? COSMIC LOVE. The image below shows a breathtaking view of the core of our galaxy, the Milky Way, as seen by the VISTA telescope from the European Space Agency. With the naked eye, you’d probably see the center of the Milky Way—with countless stars and cosmic dust clouds—occupying a small patch of a few inches. However, thanks to the VISTA telescope we got one of the most detail portraits of the Milky Way EVER produced which has allowed astronomers to catalog a staggering 84 million stars. After seeing this image, ask yourself... Are we alone in the Milky Way? The above image is just a small, reduced—thumbnail version of the original image which has a mind-boggling resolution of 108,500×81,500—or if you prefer 9 giga-pixels, occupying 24.6 gigabytes. If for some reason you want to download the 24.6-gigabyte image you can do soby clicking here. 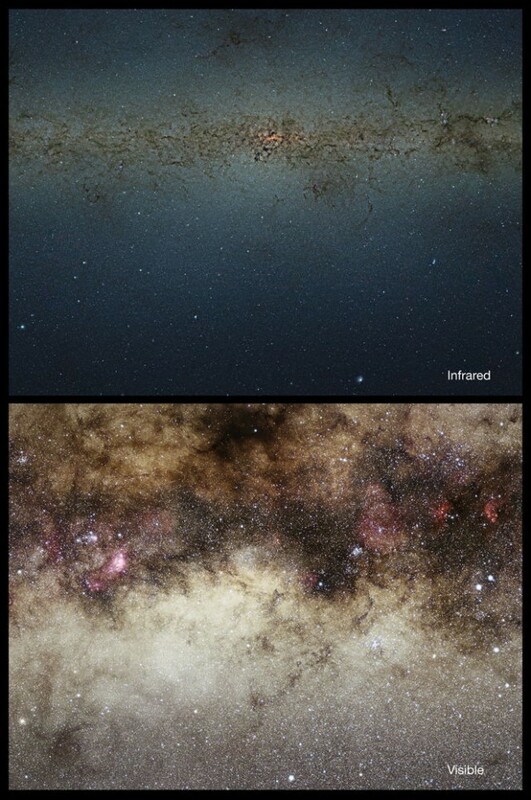 Check out the ENTIRE 9-gigapixel image—and zoom in on those stars—by clicking here. This image is simply too big to be displayed at full resolution and is best appreciated using the zoom tool. In order to obtain this image, ESO’s VISTA telescope—which stands for Visible and Infrared Survey Telescope for Astronomy—snapped thousands of images of the sky after which astronomers compiled them into one 9 giga-pixel mosaic. The Vista telescope is one of the LARGEST visible and near infrared telescopes on the planet, and it just showed us how cool it really is which this mind-bending image. Pretty amazing right ? Just imagine what else is out there? The Milky Way galaxy is really unique, it’s beautiful and this image makes you love our cosmic home even more, right? But this image wasn’t taken just for aesthetic purposes. In fact, this massive image has allowed scientists and astronomers to identify numerous cosmic objects in space that are worth researching further. This image allowed astronomers to identify 84 million stars in the Milky Way. Our cosmic home—the Milky Way—is part of a supermassive structure interconnected by over 800 galaxies located at around 1000 million light years away. Our galaxy is part of an intergalactic highway that stretches some 500 million light years across and contains around 100,000,000,000,000,000 Suns, dubbed by scientists as Laniakea.